According to a recent survey, the number of teens illegally downloading music and sharing it online has fallen since 2007, with the increasing popular music streaming service Spotify claiming a large part of the responsibility for the decrease in online piracy. The Music Ally report says that, as of January 2009, 17 per cent of web users said they regularly downloaded music from illegal file-sharing sources online, down from 22 per cent in December 2007. The drop in the percentage of the teen demographic illegally downloading MP3s is most notable - 26 per cent of 14-18 year olds admitting to illegal downloading in January 2009, down from 42 per cent in December 2007. 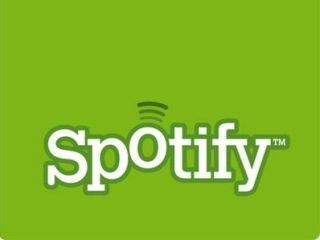 Spotify's PR Manager, Jim Butcher told TechRadar that: "One of the fundamental aims of Spotify was to develop a service that was better than piracy. We've always maintained that music fans don't want to fileshare illegallybut they do want to have everything at their fingertips instantly. "The best way to compete with piracy is to come up with an even better service, which gives people more than piracy could offer whether that be ease of access, speed, sound quality or compiling and sharing playlists - and crucially in a clean, trustworthy environment." The Spotify PR man is also quick to add that filesharing, in addition to being illegal, is also very much a hit and miss affair. "With filesharing you can never be sure what you're getting, and are putting yourself at risk of downloading malware and viruses, not to mention poor quality or simply the wrong music. Why take the risk?" says Butcher. "Plus, it's quite a nice feeling to know that you're helping compensate artists while listening to their music. It's a win-win." And while there are still questions being asked from music and tech industry critics regarding Spotify's longer-term business plan, it is clear that the service is growing in popularity amongst younger music fans, with nearly two million Brits having already signed up. "In terms of the increase in streaming and decrease in filesharing, we're seeing that streaming services are beginning to change patterns of music consumption amongst music fans, who are cutting back on their illegal filesharing as services such as Spotify begin offering them a more user-friendly alternative," says Butcher. "It's a trend we'll see continue as services continue to improve and expand."